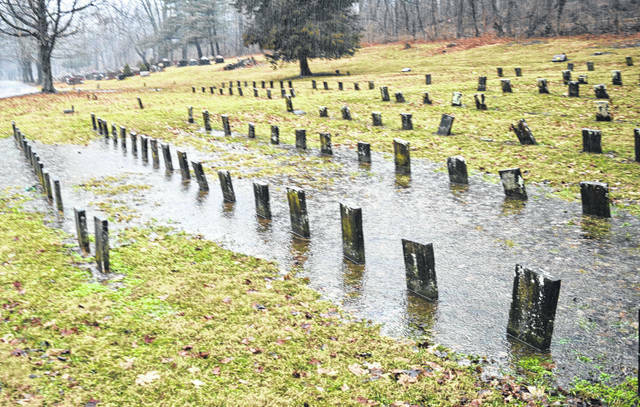 Veterans’ grave markers were partly under water Thursday at Sugar Grove Cemetery in Wilmington. 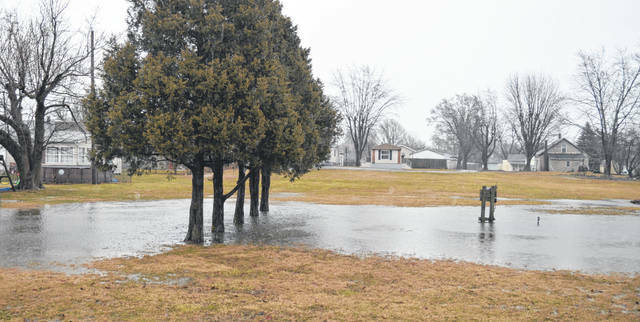 Many Clinton County farm fields were saturated by the heavy rain this week. 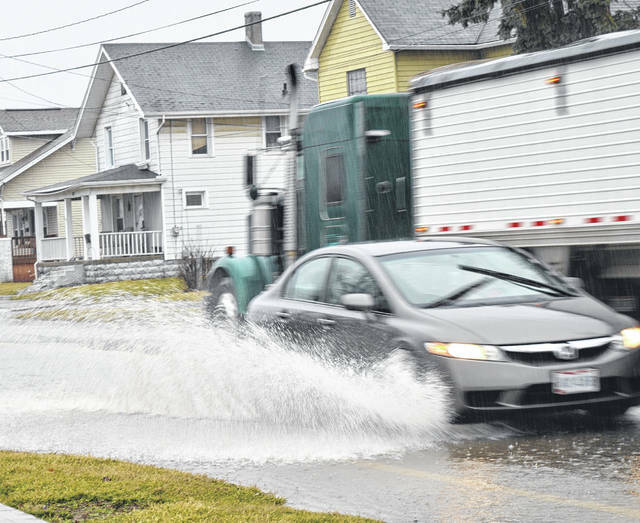 Motorists in Sabina and elsewhere in Clinton County had a choice of plowing through high water — including here on Washington Street/U.S. 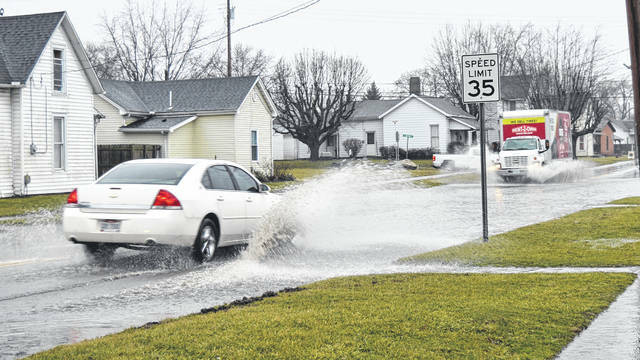 22 & Ohio 3 — or diverting to a side street early Thursday afternoon. The rain was even accompanied by occasional rumbles of thunder. 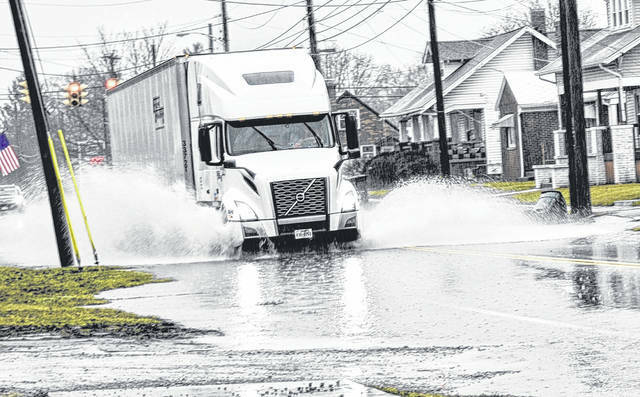 Clinton County was under a Flood Watch issued by the National Weather Service Thursday until 7 a.m. Friday — but at 3:46 p.m. that was changed to a Flash Flood Warning until 9:15 p.m. Thursday as even heavier rain came. 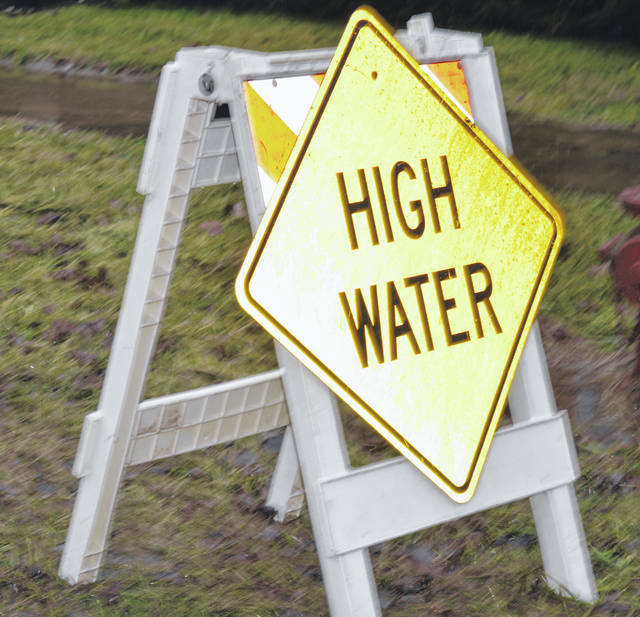 A sign of what was to come Thursday for Sabina motorists.